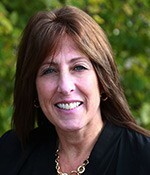 Lisa Moccaldi is Vice President of Operations at Valiant Solutions, Inc., where she oversees all aspects of service delivery. Lisa came to Valiant as a payroll professional with 30 years of comprehensive experience from ADP where she managed highly successful Customer Service and Implementation teams. She leads the team by driving performance, strengthening long term relationships and striving to exceed customer expectations. Lisa holds a B.S. in Accounting and an M.S. in Organizational Management. When she is not at Valiant she is kicking it out on the soccer fields.